The British government has been found in contempt of the Houses of Parliament for the first time in history and will be forced to publish the full legal advice it received on Theresa May’s Brexit deal after it was defeated in a key Parliament vote Tuesday. Members of Parliament from six opposition parties — including the Democratic Unionist Party who are theoretically allies of the government and had signed an agreement to prop up Theresa May’s minority administration in — defeated the government on a motion of contempt by 311 votes to 293. The government had refused to release the full legal advice it had received from Attorney General Geoffrey Cox on Theresa May’s Brexit deal and the controversial backstop, instead dispatching Cox to the chamber on Monday to answer questions. WATCH | "It's a national humiliation and makes a mockery of Brexit" – Boris Johnson blasts May's disastrous deal which effectively makes Britain a "de facto colony." WATCH | @BorisJohnson stands up for Britain: "If colleagues think it will be too disruptive to go for freedom now, just you wait until you feel the popular reaction that will follow when people realise the referendum has been betrayed!" …members ought to be in possession of all of the facts. In 2007 the Prime Minister then argued, and I then agreed with her, that the full legal advice should have been made available before the Iraq war. I agreed with her then. Why did she push it right to the wire here, and lose two votes in the House in order to try and prevent the legal advice being published that is so necessary to inform us in our debates. Mr Speaker, I have spent nearly two years negotiating this deal. I have lost valued colleagues along the way. I have faced feirce criticism from all sides. If I had banged the table, walked out of the room and at of the process delivered the very same deal that is before us today, some might say that I’d done a better job. But I didn’t play to the gallery, I focussed on betting a deal that honours the referendum, sets us on course for a bright future, and I did so through painstaking hard work. I have never thought that politics was simply about broadcasting your own opinions on the matter at hand, it is as much about listening to people from all sides of the debate and then doing what you beleive is in our national interest. And that is what I have done, and sticking to the task has delivered results for the British people. Will the members of the House agree? We have a week of intense debates to see. One of the greatest obstructions to progress with Brexit has been either real or perceived issues with the Irish border, which led to Theresa May creating a so-called backstop arrangement with the European Union. This has proven controversial — critics say it endangers the unity of the Kingdom and is a key part of what has been christened a Brexit in name only. While no deal at all and a full, hard Brexit with Britain leaving on World Trade Organisation rules is the preference for many Brexiteers who see anything less as a betrayal of the referendum and a continued surrender to Brussels, the events of today which have made stopping Brexit easier for pro-remain politicians have also made it a more distant ambition. The Prime Minister has been addressing the chamber for nearly an hour now, opening a debate that could go on all night. Her statement has weathered a number of interventions, one of which came from prominent DUP MP Nigel Dodds, who challenged the Prime Minister over a snap general election, claiming that should one come he believed his Unionist and pro-Brexit party would be returned to the chamber in greater numbers than before. Coming to his point, Dodds challenged May over why the legal guarantees to Northern Ireland had been “deleted” from the final text. The Prime Minister responded, telling Dodds these were matters that could be discussed in the Commons over the next week. The government was defeated in a second vote in an hour Tuesday evening, as an amendment by Dominic Grieve MP passed despite their opposition. When the Treaty of Rome was signed in 1957, the United Kingdom stood apart. It was fifteen years later at the third attempt that we joined what was then the European Economic Community. Ever since then, our membership has been a contested matter. In the first referendum in 1975, the British people voted to stay in. But almost a third of those who voted wanted to leave. Indeed, there are those in this chamber who campaigned to leave at that time. As the EEC evolved into a European Union of increasing political depth, the British people’s doubts about our membership grew. Ultimately, membership of any union that involves the pooling of sovereignty can only be sustained with the consent of the people. In the referendum of 2016, the biggest democratic exercise in our history, the British public withdrew that consent. They confirmed that choice a year later, by voting overwhelmingly for parties that committed to delivering Brexit. The referendum was a vote to bring our EU membership to an end, and to create a new role for our country in the world. To deliver on that vote, we need to deliver a Brexit that respects the decision of the British people. A Brexit that takes back control of our borders, laws, and money, and a Brexit that sets us on a better course for a better future outside the EU as a globally trading nation in charge of our own destiny and seizing opportunities of trade with some of the fastest growing and most dynamic economies across the world. This will only be a moment of opportunity if we in this house can find a way to deliver Brexit that begins to bring our country back together. That means protecting the easy trading relationship which supports just in time supply chains and the jobs that depend on them. The security cooperation that keeps us saf,e the progress we have made in Northern Ireland, and the rights of citizens here in the UK, and across the European Union. I know there are some in this house, and the country, who would prefer a closer relationship with the European Union than I am proposing. Indeed, who would prefer the relationship that we are currently have, and want another referendum that ey hoep would overturn the decision that we took in 2016. Although I profoundly disagree, they are arguing for what they beleive is right for our country and I respect that. But the hard truth is, we will not settle this issue and bring the country together that way. And I ask them to think, what it would say to the 52 per cent to came out to vote leave, in many cases [voting] for the first time in decades, if their decision were to be ignored, what would it do to our politics. These are important points because there are those who want a closer relationship with the EU, but they must recongise the message that was given by the 52 per cent who voted to leave the European Union. There are those in this house who would prefer a more distant rewlationship than the one I am proposing. And although I don’t agree, I know they are also arguing for what they beleive is the best for our future and I respect that too. But the hard truth is also that we will not settle this issue and bring our country together, if in deliveirng Brexit we do not protect the trade and security cooperation on which so many jobs and lives depend, completely ignoring the views of the 48 per cent. We can shut our eyes to these hard truths and carry on debating between these extremes for months to come, or we can accept that the only solution that will endure is one that addresses the concerns of those who voted leave, while assuring those who will remain. This argument has gone on long enough, is corrosive to our politics, and life depends on compromise. We can choose to settle this issue now by backing the deal in this motion, a deal that delivers Brexit and a new partnership with the European Union, a deal that delviers for the whole United Kingdom, a deal that begins to bring our country back together again… The decision we have before us has two elements to it. The withdrawal agreement which set out the terms of our departure from the European Union,a dn the political declaration which sets the terms of our future relationship with the EU. Although the full extent of the documents were not revealed then, Cox did admit that the United Kingdom would have no unilateral right to withdraw from May’s agreement in the future, which has been branded the worst deal in history by Brexit supporters. Now the government has been defeated in the motion and found in contempt, it will be forced to release the document. It is the first time the powers of parliament to find a member in contempt has been used in decades, and is believed to be the first time ever it has been used against a sitting government. Leader of the House of Commons Andrea Leadsom — a Brexiteer who ran against Theresa May in the 2016 Conservative leadership contest — announced the full legal documents would be released Wednesday. “These are historic times, I don’t recall a government in contempt of parliament… it is in contempt and they will be forced to publish the legal advice that they should have from day one. 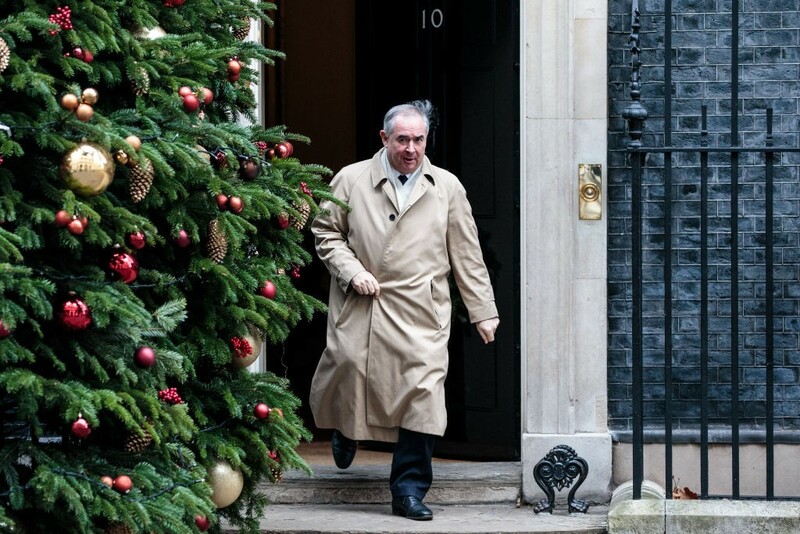 When challenged on the agreement that his party has with the government, Dodds said it wasn’t the DUP that had abandoned the Conservatives, but in fact the opposite had happened. He said Theresa May was going down the road of not delivering “Brexit in its true form” or preventing the United Kingdom from fragmenting, both of which she had promised to do when forming her government with the support of the DUP in 2017. Some believe seeing the full advice is important because it may show the Prime Minister has actually been misleading the country in an effort to get her ‘Brexit in Name Only‘ plan adopted. 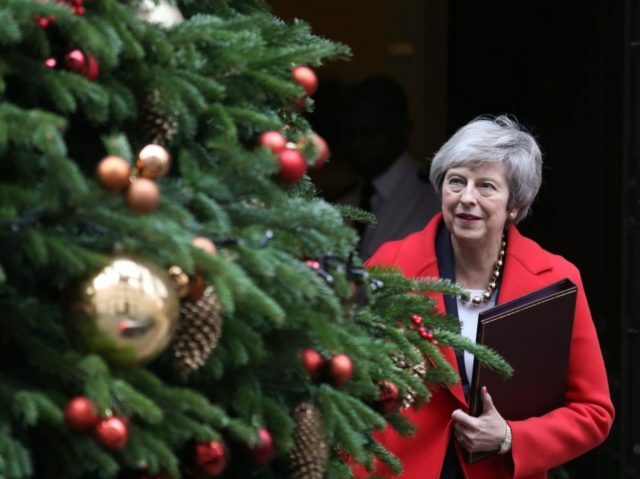 Ulster politician Sammy Wilson said Tuesday the full document would prove the Prime Minister has been lying to the country about her Brexit plan, reports the Belfast Telegraph. He said: “I think that the Attorney General’s advice will show just how extensively the backstop arrangement will apply European law to the United Kingdom as a whole and Northern Ireland specficially. “The advice will show how easy or how hard it will be to get out of the backstop and especially how hard it will be for Northern Ireland. It will also explain what the implications of being in the backstop will be. All of those things are important when it comes to making a judgement on whether this is a good deal or a bad deal. This will only be a moment of opportunity if we in this house can find a way to deliver Brexit that begins to bring our country back together. That means protecting the easy trading relationship which supports just in time supply chains and the jobs that depend on them. The security cooperation that keeps us safe the progress we have made in Northern Ireland, and the rights of citizens here in the UK, and across the European Union.